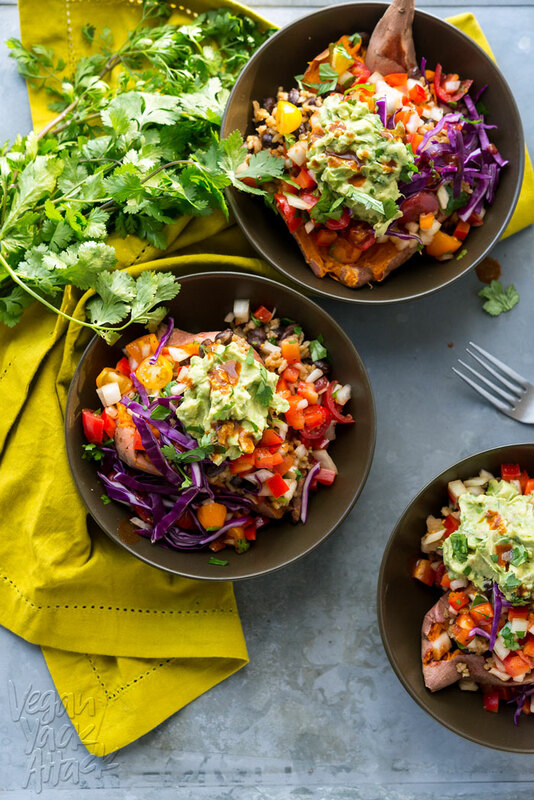 March has come to an end and it’s time to round up this month’s wonderful recipes! We asked you to create stuffed and filled foods which has been interpreted in some lovely ways by our MoFo’ers. 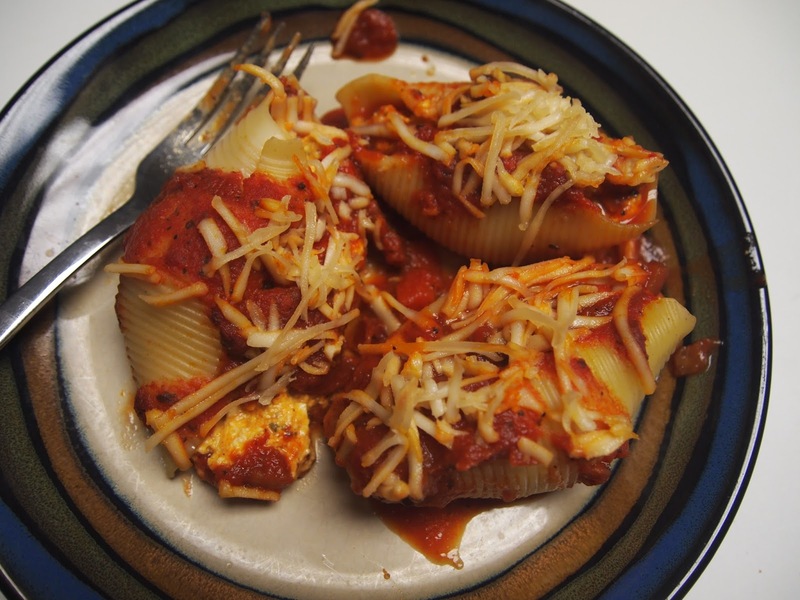 Julie made vegan stuffed pasta shells! Using different types of vegan cheese and sauces (including a chipotle vegenaise!) these sound and look like great comfort food. 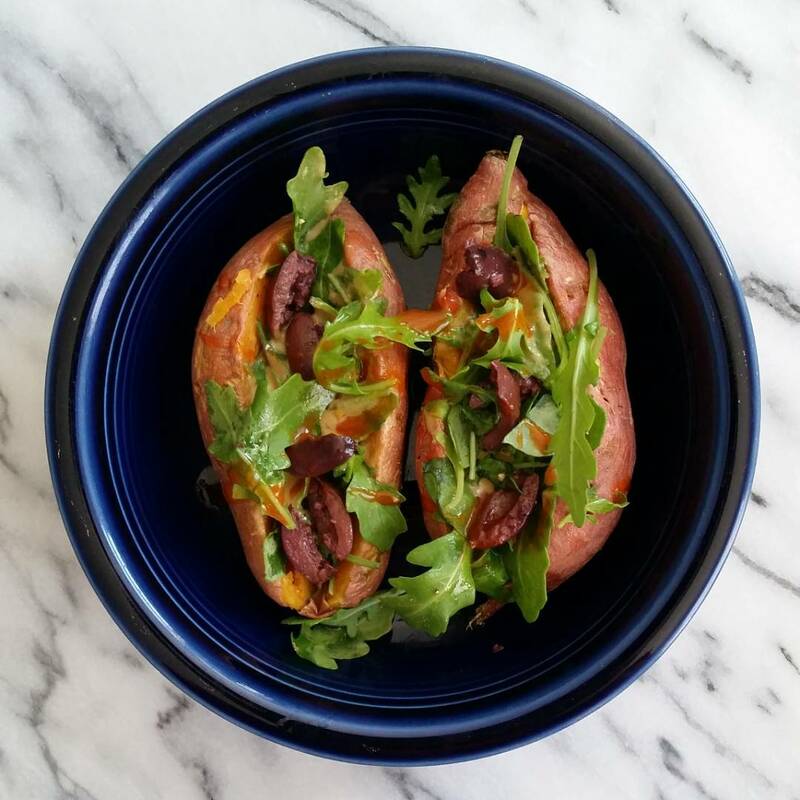 The first of this month’s sweet potato recipes comes from Sarah, who made a simple but tasty looking lunch, stuffing potatoes with arugula, olives, tahini, lemon, and hot sauce. Mmm! Jackie from Vegan Yack Attack also used sweet potatoes this month! She made burrito-stuffed sweet potatoes, filled with beans and rice, salsa, and guacamole. What a great idea! Jenny wrote about her visit to a pasta restaurant! That’s right, a restaurant dedicated to pasta – and it has vegan options. 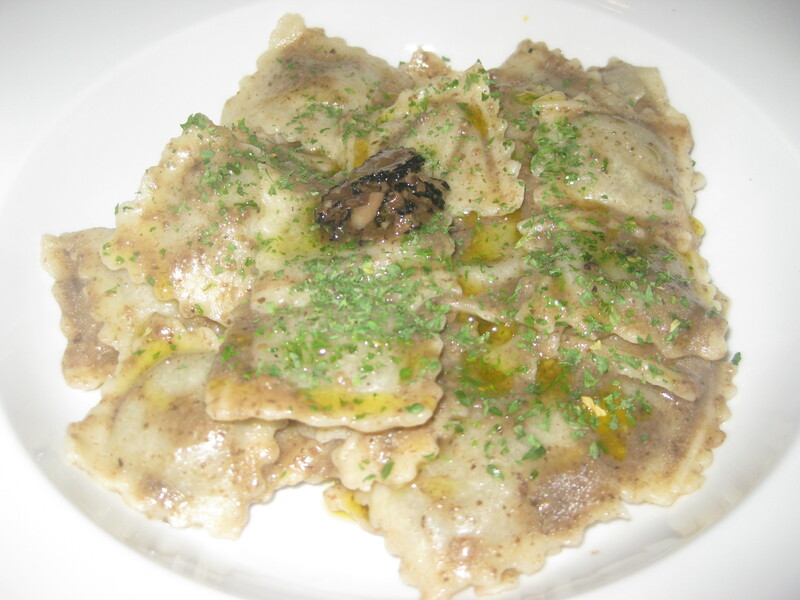 She had a mushroom ravioli for a main, followed by chocolate ravioli. Yes, chocolate ravioli! 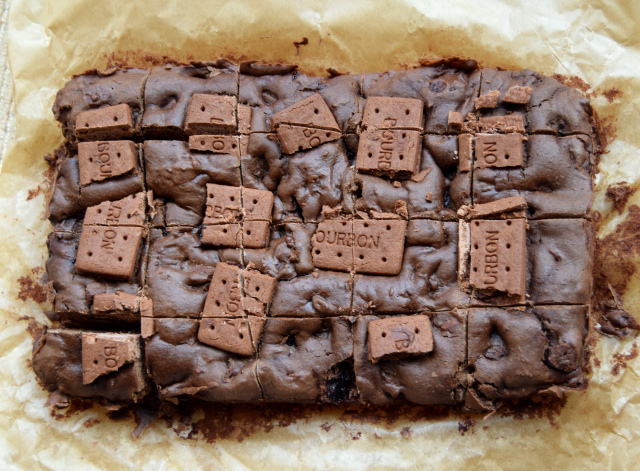 Emma did some baking for this month’s prompt and made Bourbon Biscuit Brownies. Brownies stuffed with filled chocolatey biscuits – chocolate galore! 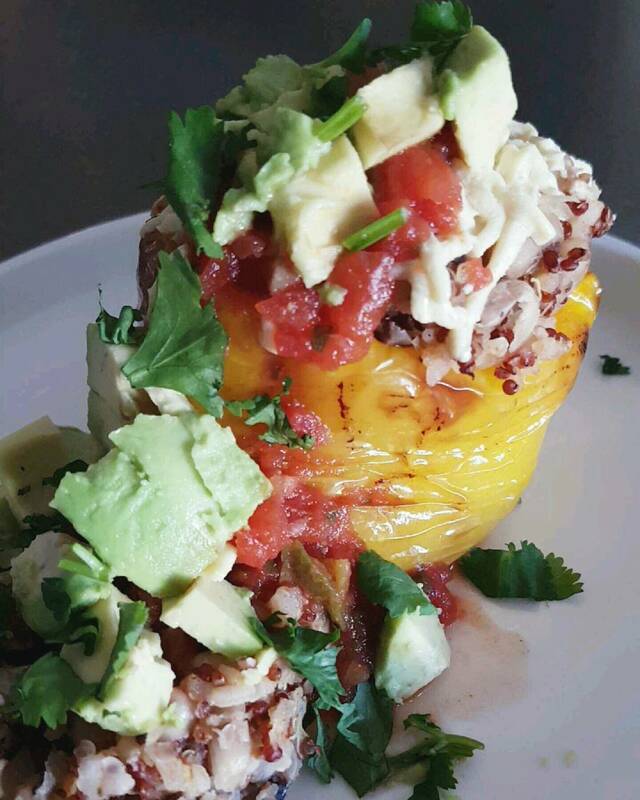 The Hale Vegan made stuffed bell peppers – filled with red quinoa, beans, taco seasoning, and topped with salsa, avocado, vegan cheese and cilantro. Some great flavours here! 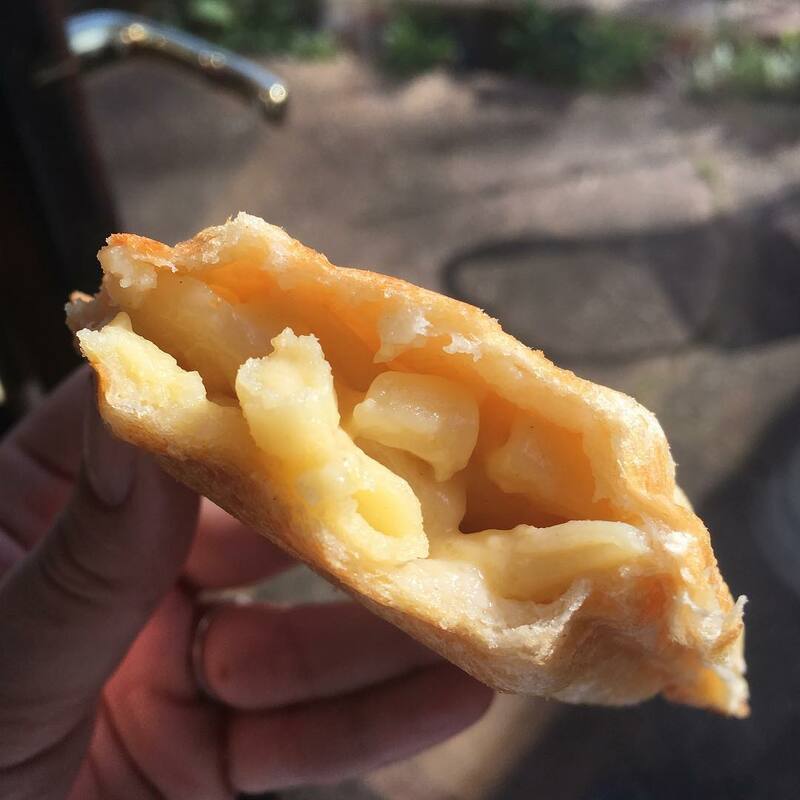 Jojo made this amazing mac-and-cheese toastie! What could make vegan mac and cheese better, but putting it in a sandwich? And toasting it? Heavenly! 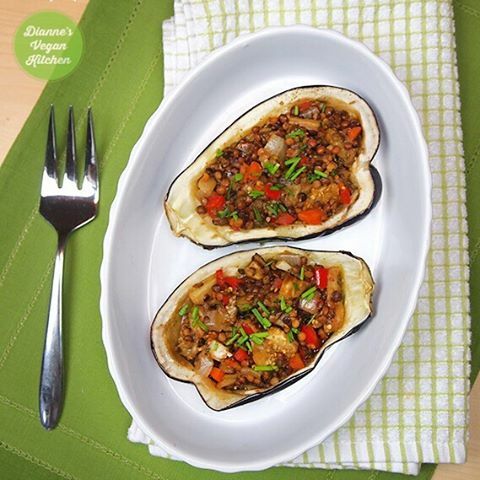 Dianne shared her recipe for lentil stuffed eggplant. Don’t they look so cute and tasty? 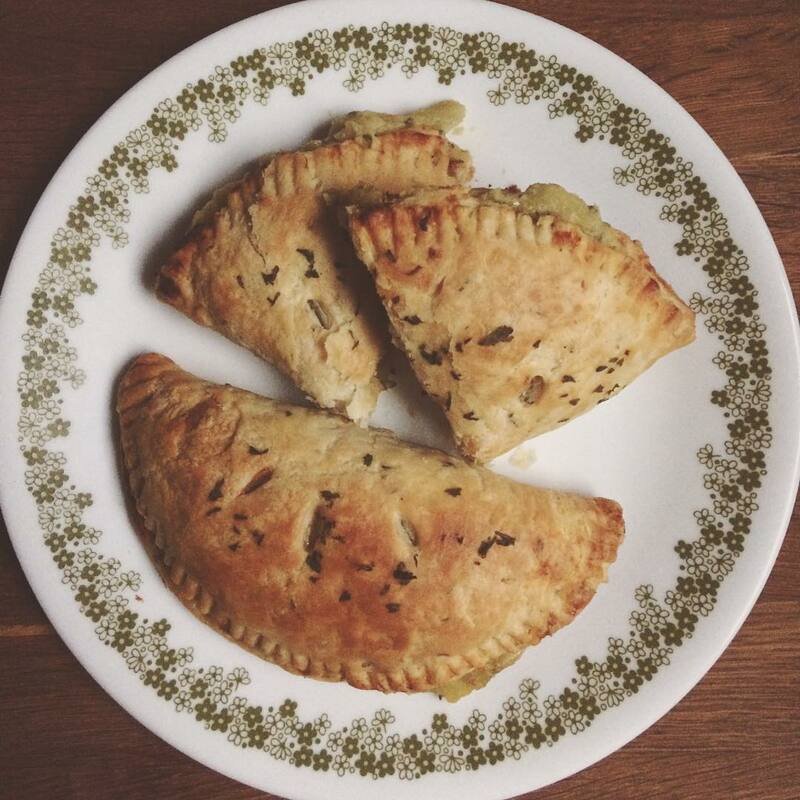 Vegan bakers Pies for PDX made cheezy broccoli potato hand pies to sell at a charity bake sale – I bet they went down a treat! 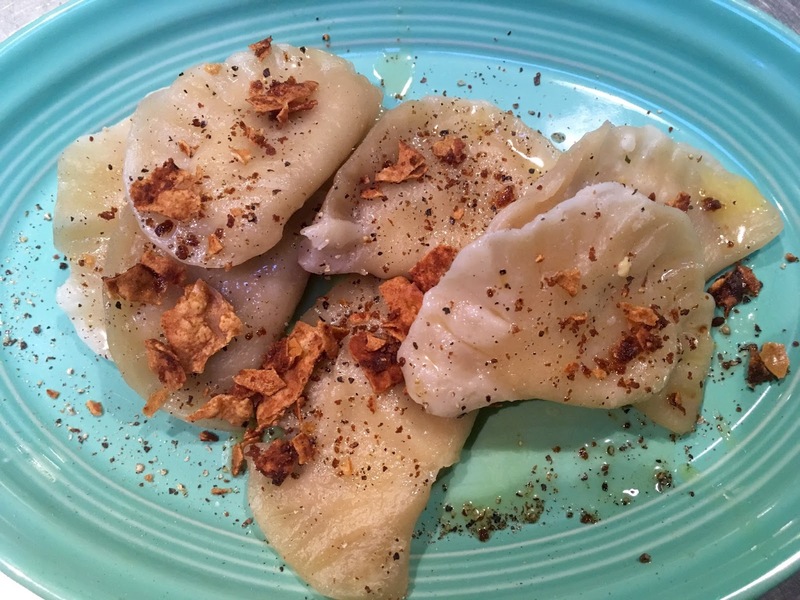 Jen never misses a MiniMoFo prompt, and this month she delivered with these cheezy bacon pierogi and some sweet little hand pies. You can check out the recipes on her blog. Thank you to everyone who participated in this month’s challenge – and keep an eye out for April’s prompt, coming soon!